I used this recipe from Oh She Glows. For the cheese, I soaked the cashews for a few hours, and used frozen basil. I've had it once in a restaurant in New York, which was so smooth it was like whipped cream, I couldn't achieve this level with my flatmate's blender, but I did like the nutty texture. YUM. 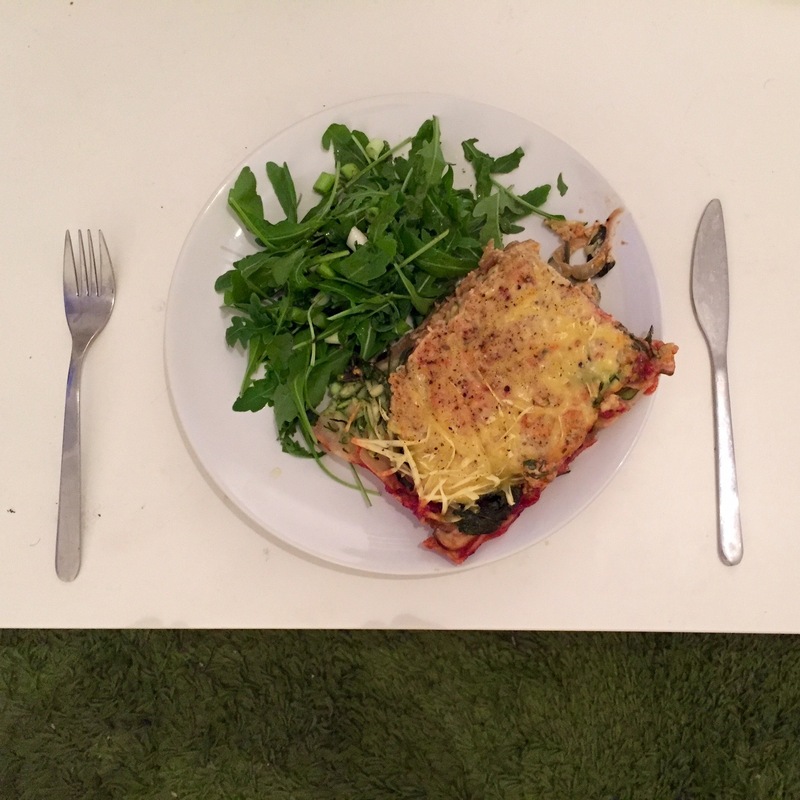 It made four meals worth, I served it with some rocket and a drizzle of balsamic.